This is the desert version of the "VADER-mask" nametags for the pilots of VAQ-209. This patch does not come with velcro already attached. This is the subdued version of the blank nametags for the pilots of VAQ-209. I found these in a drawer at a "little old lady's" business that used to make all the East Coast VAQ nametags. This is the subdued version of the blank nametags for the pilots of VAQ-209. You can have it personalized, just state the "name/callsign" you'd like embroidered in the "COMMENTS" section of the order form!! 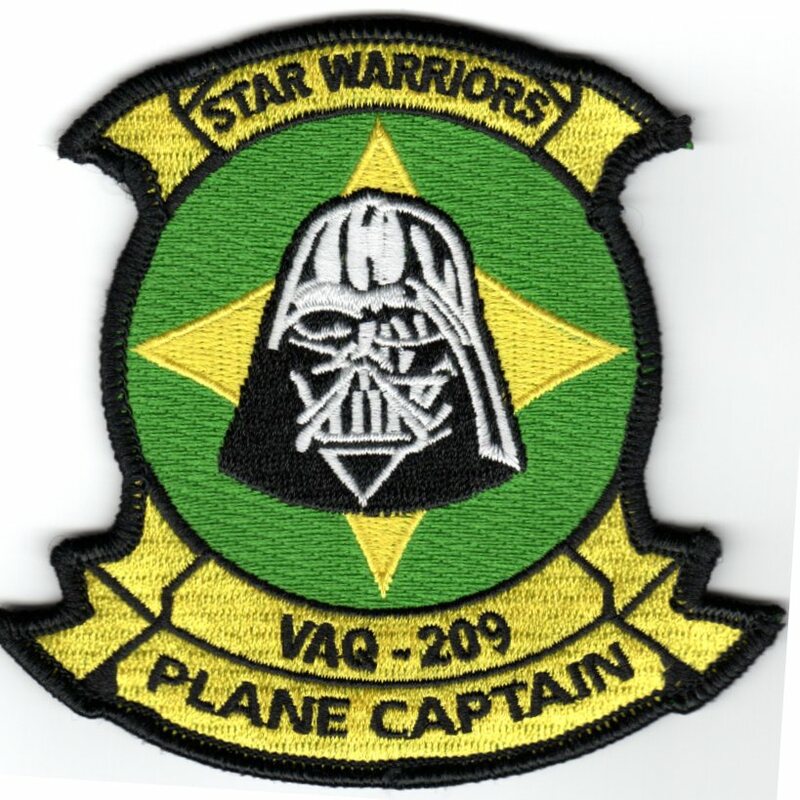 This is the another AV8RSTUFF creation for the VAQ-209 Star Warriors and is the green/yellow version of the Plane Captain patch made for those who take care of the birds. This patch does not come with velcro attached. 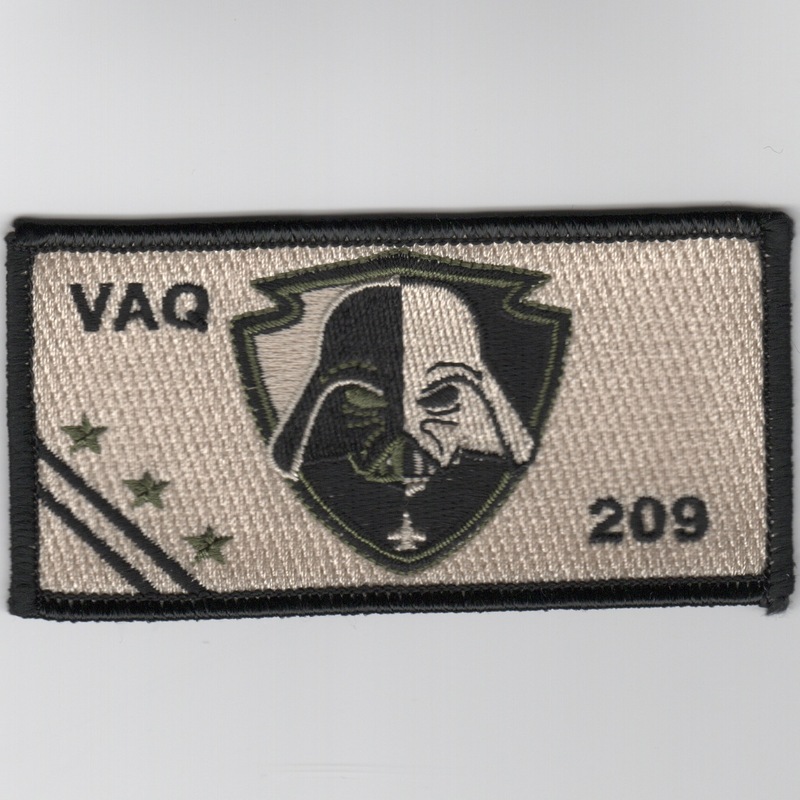 Homepage | Order VAQ-209 Patches!